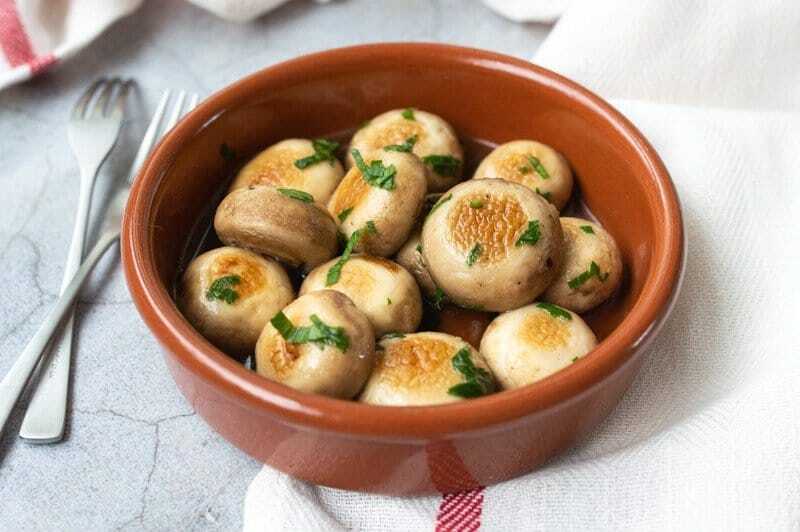 Setas al Ajillo (translates to: mushrooms with garlic) would have to be my all-time favourite way of enjoying mushrooms. 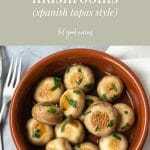 I first tried mushrooms cooked this way at a Spanish tapas place near my home and instantly fell in love with them. 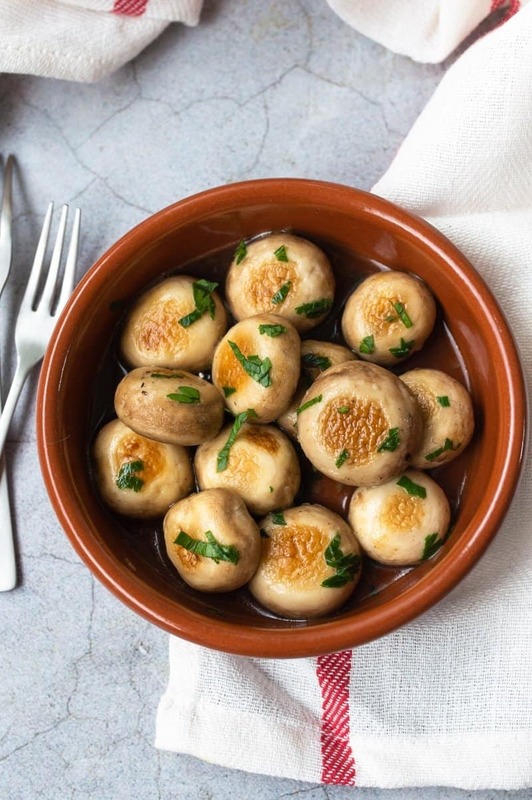 The robust little button mushrooms had been quickly cooked in copious amounts of garlic and were served up in a rustic terracotta dish. I was bitterly disappointed, however, when I went back there again craving those little garlicky nuggets, when a variety of sliced mushrooms mixed with enokis arrived in a plain white bowl. The flavour, presentation and choice of mushrooms totally missed the mark and left me asking anyone who would listen; WHY MESS WITH PERFECTION?! So, I have tried to recreate the dish that I originally fell in love with and now that I know how quick and easy garlic mushrooms are to make, it is one I will be making more often. Golden, garlicky nuggets served Spanish tapas style. These easy garlic mushrooms are quick to prepare and will be quickly eaten! 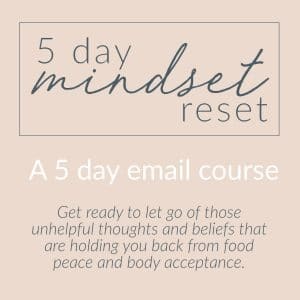 You can use white wine if you don’t have any sherry. I have also found – and I know this might be breaking all of the ‘rules’ given it is meant to be a Spanish style dish – but Shaoxing wine (Chinese cooking wine) also works fine. Like your line – Why mess with perfection. I love my mushrooms with garlic. Go the power of mushrooms! Thanks Mighty Mushroom – it had to be said!! Sometimes the simplest accompaniments are the best. This looks delicious! Mushrooms are a great side dish to any meal! I like everything with garlic! It’s such a powerful flavor enhancer. These look delicious! 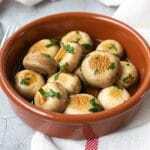 I used to loathe mushrooms, but they quickly have become a favorite in recent years! YUM!